Manufacturer: Topps Chewing Gum, Inc. 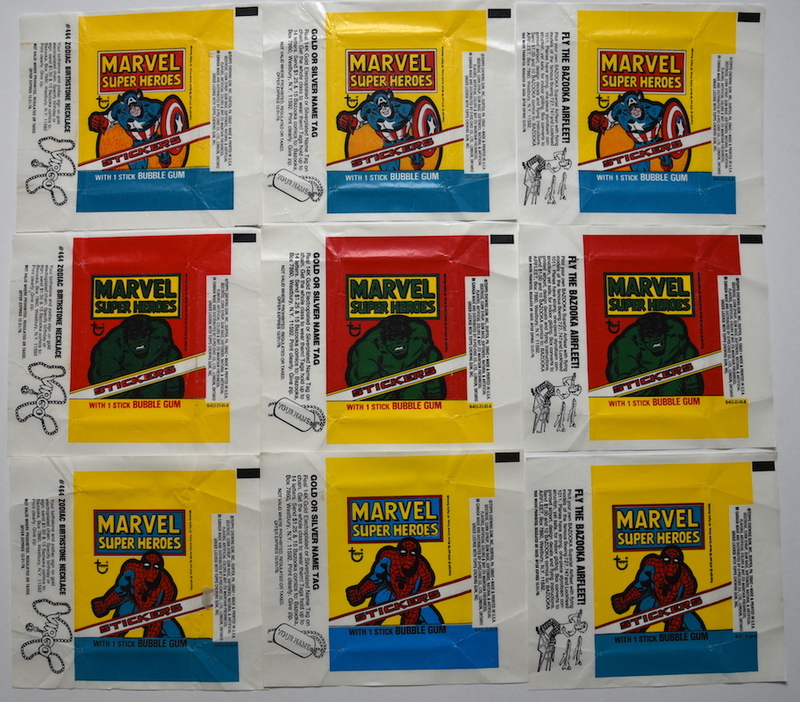 Description: These are the wrappers for the 1976 Topps Comic Book Heroes Stickers. 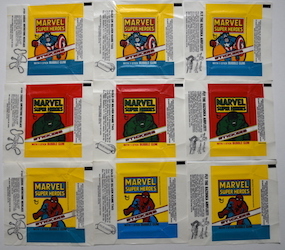 There were nine total different wrappers with three separate characters on the from each with three different advertisements on the back. The covers had Spider-Man, Hulk and Captain America.